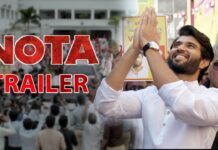 Watch Neevevaro Movie Teaser starrer Aadhi Pinisetty, Taapsee Pannu and Ritika Singh. The major highlight in this intriguing Neevevaro Movie Teaser was Aadhi Pinisetty’s visually impaired character. He also portrays many other shades in the movie and it remains to be seen if Aadhi Pinisetty essays dual roles in the movie. 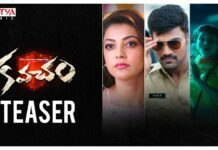 As shown in the Neevevaro teaser, Neevevaro has two romantic tracks, featuring Aadhi and the leading ladies Taapsee Pannu and Ritika Singh. Neevevaro Movie Music composed by Achu Rajamani, and Prasan. 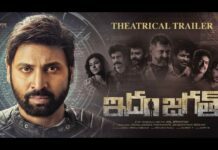 The film is directed by Hari Nath, while writer Kona Venkat penned the dialogues for the movie, apart from co-producing it under with the Kona Film Corporation banner in association with MVV Cinemas.